I love coffee, and I love hanging out sipping a cuppa in a cool coffee shop. 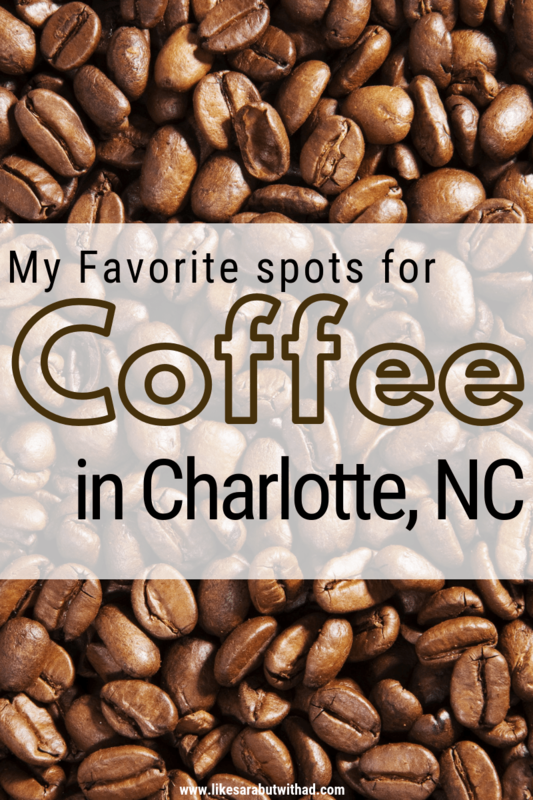 Lucky for me, there are about a gazillion little cafes dotting this Queen’s city, and I am not even counting the Starbucks 😀 I have collected here five of my favorite spots in and around Charlotte for your perusal. 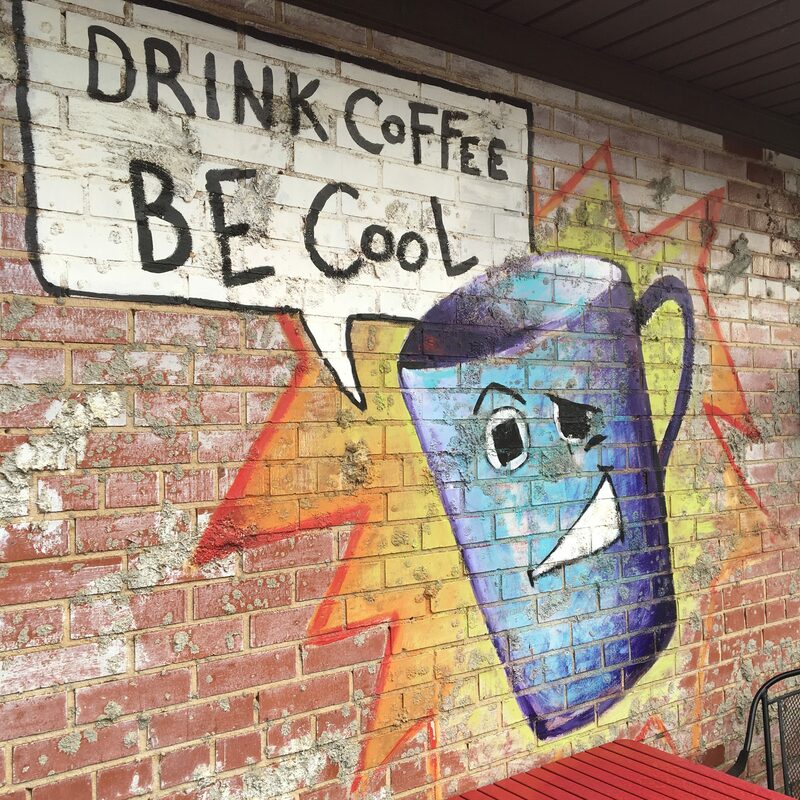 The Smelly Cat is located on 36th in NoDa, and is an award-winning local coffee house that roasts their own ethically sourced beans. They are open seven days a week but do close early on Mon and Tues at 3 pm. I usually get an iced coffee when I visit, and my little guy ALWAYS opts for the vanilla shake (which is amazingly delicious). The atmosphere is pretty laid back and cool. They don’t have a ton of indoor seating but have an abundance of outdoor tables and benches (which is where I like to sit anyway). 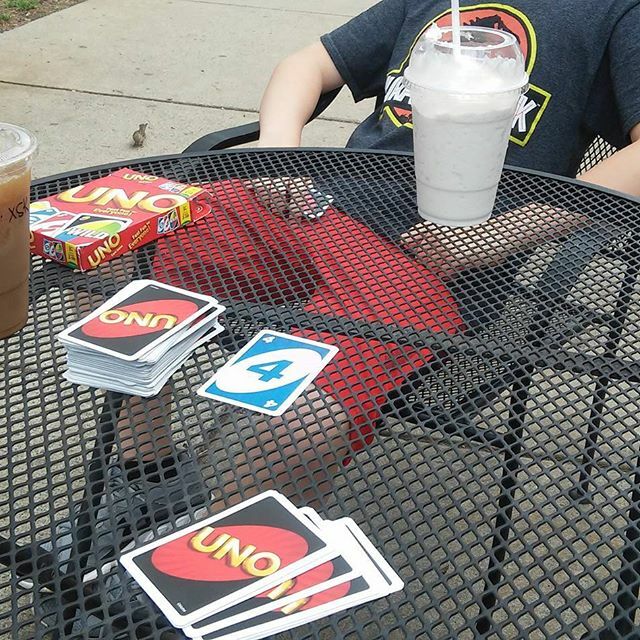 We spent an hour or two enjoying the weather and playing a rousing game of Uno last time we visited. The entire Noda neighborhood is an awesome place to hang out if you haven’t visited before you should move it to the top of your list! Sunflour Bakery is a family owned artisan bakery that serves a variety of coffees and teas. The beans come from Counter Culture Coffee and are organic and fairly traded. The flavored syrups for the espresso drinks are made in house! 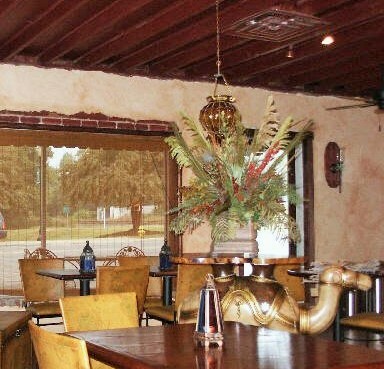 Sunflour has two locations, one at 220 East Blvd and another at 2001 E 7th Street. I have only visited the 7th street location, and the atmosphere is so-so. I mean, it is a comfortable spot, but it is a bit generic compared to some of the other places in town. 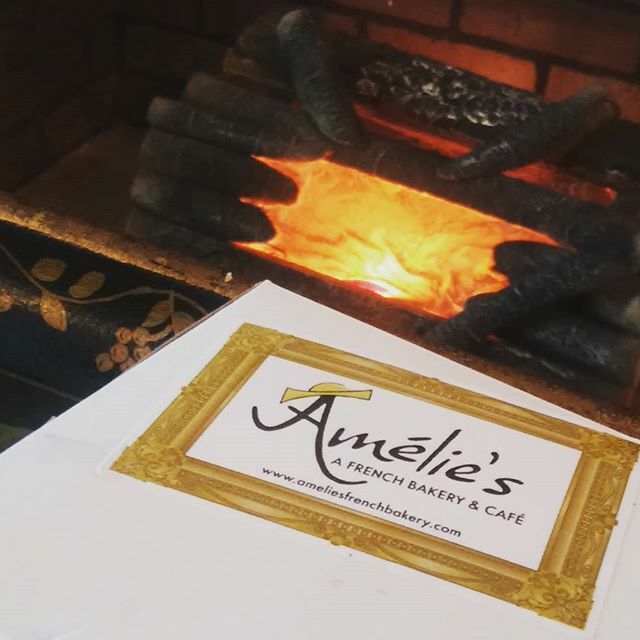 However, they offer a full menu and a fantastic selection of baked goods. I really love that you can order your coffee in a french press! Parking was easy to come by on 7th, and the bakery is right next to Heroes Aren’t Hard to Find, a comic book shop (even if you aren’t really into the whole comic book thing, you should at least pop in to take a look at the lifesize spiderman on the ceiling). 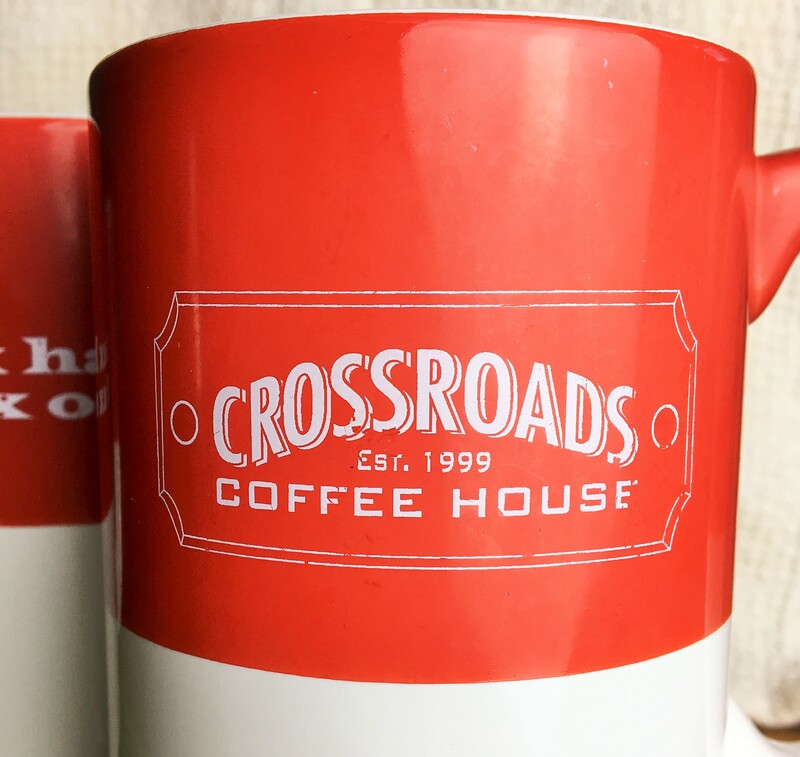 Crossroads Coffee House in Waxhaw roasts its beans in-house and in small batches. 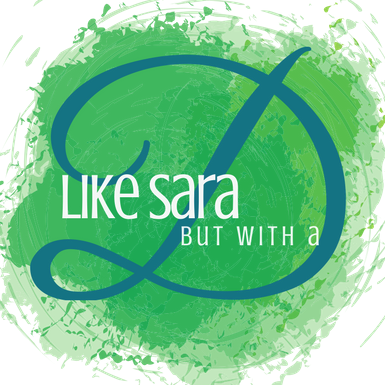 They offer various specialty and custom blends which are for sale in the shop and online. I usually go with one of the espresso drinks, although choosing a flavor is difficult with all the options! The shop has a rustic, old country store feel, and Waxhaw is such a quaint town, I am sure you will enjoy strolling along the main street. Crossroads opens early most days and closes at 8:30, except on Sunday when they close at 8. The coffee is alright, although I tend to grab one of the bottled specialty sodas to wash down my wondrous dessert. Did I mention the desserts? Oh boy, don’t waste your calories on a latte in this place! 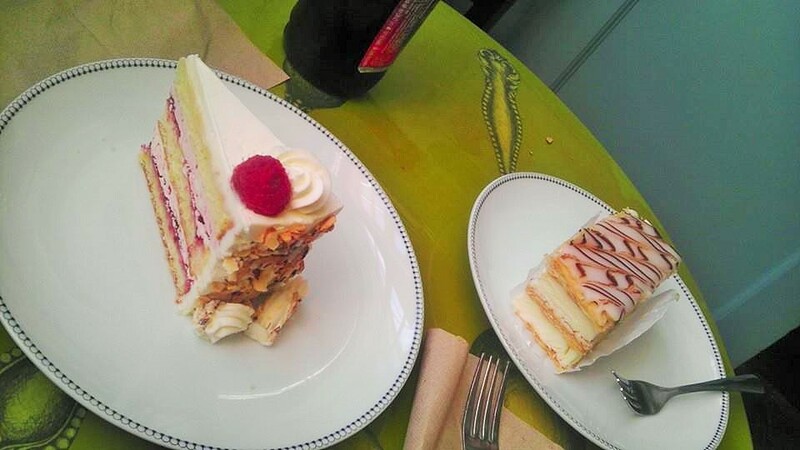 Grab a black cup of drip coffee and one of the exquisite desserts in the case, from macarons to napoleons to creme brulee, you can’t go wrong here. The last one on my list is Caravan Coffee in Belmont. Caravan has a special place in my heart because it was my number one hang-out spot when I first moved to the area way back in 2007. They are located right across from Stowe Park and are open 7 days a week, although the Sunday hours are a bit limited. The decor is very Pier 1 with a Moroccan feel to coincide with the name 🙂 I especially love the little camel centerpiece table! My favorite drink to order is a Mocha because they always give you so much perfect foam, but in the summer the frozen drinks are the best choice. Also, they have the only Chai I have ever liked. The cafe is owned by a local Belmont couple, who also own the cake shop next door, and the delicious goodies for sale in Caravan come from there. If you happen in on a day they are selling banana pudding order two. You won’t regret it. Well, that is all I have so far. Next spot on my list to try is the bright yellow Mama’s Coffee House in Pineville. I can’t believe I am so close to this spot and haven’t been yet. Shame. I will leave you with this bit from Kicking and Screaming, the most quotable movie ever. What great artwork on the bricks! Reading your post certainly makes me want to go out and have coffee and perhaps get out of the Starbucks rut and try somewhere new around here. It’s been years since I spent any more than a few hours in Charlotte. I’m going to have to try some of these out and meet up with some of our friends that live there. Charlotte is growing like crazy, and there is a ton to see and do! I have been slacking on my link-ups for the past couple weeks, but I am trying to get back on track! I sing it every time I go by there!!! I don’t have anything against Starbucks (I drink there often), but sometimes local shops just have more charm. Plus, I love to shop/eat local.